As most of you know, Dr. Hennessey was set to retire 12/31/18, but stayed on to give our new providers time to settle in to life at SVPAM. We are very grateful and we know that many of you expressed the same sentiment. Dr. Hennessey is now ready to move forward with his retirement. His last day at SVPAM will be Wed April 24, 2019. For those of you who have appointments scheduled with him after that date, you will be receiving a call from one of our staff members in the coming weeks to reschedule your appointment. We will make every attempt to accommodate anyone who wants a final visit with Dr. Hennessey, but can not guarantee availability. Our other providers are available and excited to get to build relationships with you and your children. Please join us in wishing Dr. Hennessey a healthy, relaxing and well-deserved retirement after serving SVPAM families for the past 33 years! I will be collecting well wishes and messages from families who take a moment to detail thanks and special memories. Please send messages to me via email by April 19, 2019 to liz.yankello@svpam.com. Wishing all our SVPAM families a wonderful Thanksgiving holiday! Our offices will be closed Thursday and Friday so that our providers & staff may enjoy quality time with family/friends. Remember ~ we always have an MD on call, 24/7/365 for emergencies that can’t wait until the offices reopen. Sewickley & Rochester will be open on Saturday 11/24 at 8am. As we extend our sincere thanks & heartfelt best wishes to both Susan Pointer and Dr. Kaniecki as they depart SVPAM in the coming weeks, we are very excited to reintroduce our next generation of SVPAM providers! Drs. Ceccarelli & Munroe, CRNP’s Susan Mihaljevic & Jennifer Schaefer, along with Rachel Sullivan,PA-C , collectively have 58 years of pediatric primary care experience! They are very pleased to join Drs. Hennessey, Graff, Schwartz & Johnson in upholding the high-quality pediatric standards that SVPAM is known for in this region and that you have come to expect & deserve. We are excited & look forward to continuing our relationships with all of you who have been part of the “SVPAM family” for so many years. We look forward to getting to know those transitioning from other practices, those who have been here to see Dr. Kaniecki & Susan Pointer predominantly, and those new parents just starting families and joining SVPAM. We look forward to our continued partnership with you to care for your children! As some of you may or may not know, I sent my baby off to college this fall. My two older boys will also be graduating this spring, my eldest from medical school and the other from college. I cannot believe how quickly the time has gone and how they are rapidly moving towards independent lives. After careful deliberation, I have decided to make a change in my life as well. I will be joining Akron Children’s Hospital in January of 2019, to help grow their Boardman practice. This position will allow me the opportunity to become more involved in community service as well as have more time to travel to see my children. I have dedicated over 13 years of my life, more than half my practicing career, to Sewickley Valley Pediatrics, so I will very much miss being here. My goal in practice has always been to treat everyone’s child as I would my own. This made my decision to relocate even more difficult as I felt as though I were leaving my own children. I have cared for some of your children from the day they were born and others in childhood, through their teenage years and then young adulthood. I have loved all the wonderful families and I truly appreciate the trust you have placed in me to help you navigate through parenthood. Over the years I have learned as much from you as I hope you have learned from me. My wish is that my patients will be able to build strong, ongoing relationships with one of my wonderful partners and associates at Sewickley Valley Pediatrics. I am happy to help anyone connect with one of the other providers to ensure a smooth transition around my departure. I will truly miss all the people Sewickley Valley Pediatrics has brought into my life – my partners, our associates, the wonderful nurses and staff, the parents and caregivers. Most of all, the children who made each day special ~ I will truly miss seeing the little ones grow up and the older ones finding their way, the puberty talks, the laughs, the hugs, the spit ups and drool. ALL SVPAM Offices will be CLOSED ON MONDAY SEPTEMBER 3rd in celebration of the Labor Day holiday! As always, there is an SVPAM physician on-call 24/7/365 for emergencies that can not wait until the office reopens at 8am on Tuesday September 4th. 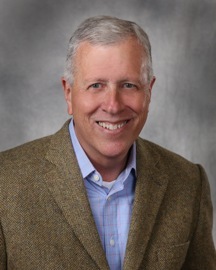 Dr. David Hennessey announces his retirement from the practice of pediatric medicine in the Spring of 2019. Dr. Hennessey has been with SVPAM since 1986 and an owner since 1987. His tireless dedication to his patients & their families will be greatly missed. Please join us in wishing him a retirement filled with good health and wonderful moments spent with his family & friends. He deserves it! All SVPAM offices will be closed on Monday 5/28/18 in observance of Memorial Day! We wish all our families a safe and fun holiday! 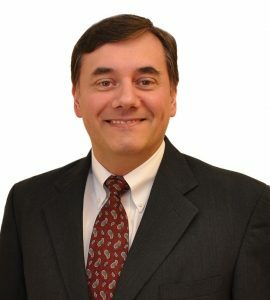 We are very pleased to announce the return of Amerigo N. Ceccarelli, M.D. to SVPAM effective 7/1/18! Moon Township, and their interests include bicycling and traveling. They have two young adult children. SVPAM is pleased to welcome Susan Mihaljevic DNP, CPNP to our clinical team. Susan is a graduate of Robert Morris University’s Doctor of Nursing Practice program. 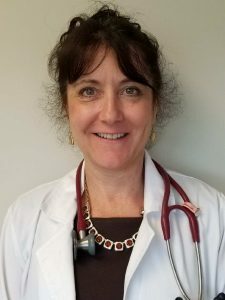 She has a Masters of Science in Nursing from the University of Pittsburgh and her undergraduate BSN from Penn State University in State College, PA. In addition to her nurse practitioner role with SVPAM, she also serves as a University Nursing Instructor with Carlow University for their Nurse Practitioner program. WELCOME SUSAN!! IMPORTANT MESSAGE ~ For Wed 4/25/18 the SEWICKLEY OFFICE will only have afternoon walk-in hours until 3:45pm. We apologize for any inconvenience. IMPORTANT MESSAGE ~ ALL SVPAM offices will be closing at 4pm today due to the weather/road conditions. The on-call physician and/or SVPAM/CHP Triage system is available as always for questions/concerns. All offices will open at 8am Thursday 2/8 at normally scheduled. We apologize for any inconvenience; it’s important to keep our staff safe. Wednesday 1/31/18. Sewickley will be available for walk-ins during the regularly designated times. It is with mixed emotions that I am resigning from Sewickley Valley Pediatrics as of June 30, 2018. I am humbled by the trust you have placed in me to care for your children over the past 10 years. Each patient, each parent, each visit has made me a better pediatrician and I cannot thank you enough. Thank you for teaching me and for allowing me to be a part of your lives. Your children’s accomplishments have been a constant source of joy- rolling over, finally using the big kid potty, making the team, getting into college. I mourn that I will not be able to share in all the accomplishments yet to come. The children you are raising are amazing, and they will make this world a better place. Although my heart is heavy when I think of leaving, I am very excited to be joining Children’s Hospital of Pittsburgh and the University of Pittsburgh School of Medicine as a pediatric faculty member. Teaching has been a passion throughout my career- many of you have met my trainees over the years. My new position will allow me to be much more involved in educating the next generations of pediatricians, ensuring that your children and your children’s children have wonderful, caring pediatricians. My wish is that all of my patients will be able to build a strong relationship with one of my wonderful partners at Sewickley Valley Pediatrics. I am happy to help anyone connect with another provider to ensure a smooth transition around my departure. My heart will always have a room filled with all of the people Sewickley Valley Pediatrics has brought into my life- my partners, the fabulous nurses and staff (without whom I could never have done my job), the parents and grandparents and caregivers, and most of all, the children who gave my days meaning. SVPAM will be closed on Monday January 1, 2018 for the New Year holiday. The offices will reopen for normal business hours on Tuesday January 2nd at 8:00am. Remember – for any urgent needs, we have clinical nurse triage and on-call physician available 24/7/365. Wishing you and yours are a happy/healthy New Year! Missed appointments include NO SHOWS and all CANCELLATIONS with less than 24 hours notice. SVPAM will be closed on Monday December 25, 2017 for the Christmas holiday. The offices will reopen for normal business hours on Tuesday December 26th at 8:00am. Remember – for any urgent needs, we have clinical nurse triage and on-call physician available 24/7/365. May you and yours have a blessed holiday celebration. will speak with our Nurse Triage or the on-call SVPAM physician. Remember – we are available for calls 24/7/365. Say “BOO TO THE FLU” with SVPAM! Fall Flu Clinic Dates are here! Call today to reserve your spot! SVPAM Staff will let you know what time slots are still available. pathways, unrelated to our portal or EMR systems. Thank you for making us aware of the problem. the office reopens on Wednesday 1/4/17, please call the office and you will be put in touch with the on-call physician. share your messages with the family. RIP Doc! You will forever be in our hearts as the cornerstone of SVPAM. recommends that consumers stop using these products and dispose of any in their possession. others, and are sold in retail stores and online. Consumers should seek medical care immediately if their child experiences seizures, difficulty breathing, lethargy, excessive sleepiness, muscle weakness, skin flushing, constipation, difficulty urinating, or agitation after using homeopathic teething tablets or gels. Open link to read FULL FDA post. between 8:30 – 10am, for SIMPLE SICK VISITS with common, straightforward problems! is only for SIMPLE, quick issues that have begun recently. busy. Patients will be seen by any available provider; specific provider requests may not be accomodated. holiday (i.e. Christmas Eve, New Year’s Eve etc) or when the office is closed. If possible, please call the office ahead of time to confirm availability. We hope you & your family find this a benefit of being part of our practice! Monday through Friday 8:30-10am and 3-5pm. provide LEP patients direct eye contact with a certified interpreter who speaks their language. of health care,” said Liz Yankello RN, CPN, CHM, Practice Administrator at Sewickley Valley Pediatrics. Children MUST ride rear-facing until age 2 years! Yesterday Gov. Tom Wolfe signed into law Senate Bill 1152. There is a 60 grace period for compliance – all families will be subject to the law starting in mid-August. There is a verbal warning period of 1 year, after that one year families will face fines for violations. safety seat belt system of the vehicle regardless of position in the vehicle. On Friday 4/22/16 – our Wexford location will NOT have AM or PM walk-in hours due to a provider change. AFTERNOON walk-in hours will continue to be available in Sewickley/Rochester only for this date. SVPAM wishes all our families a Blessed Easter holiday. The offices are open Good Friday until mid-afternoon. are open Saturday morning as well. VISITS for common, straightforward problems! others waiting. Remember, walk-in time is only for SIMPLE, quick issues that have begun recently. Walk-in hours are offered on a first come/first serve basis. Our office staff will gladly keep you informed about estimated wait times during hours that are particularly busy. Patients will be seen by any available provider; specific provider requests may not be accomodated. Walk-in hours may be limited or unavailable during bad weather or with unforeseen emergencies. No walk-in hours will be available on the afternoon before a holiday (i.e. Christmas Eve, New Year’s Eve etc) or when the office is closed. If possible, please call the office ahead of time to confirm availability. 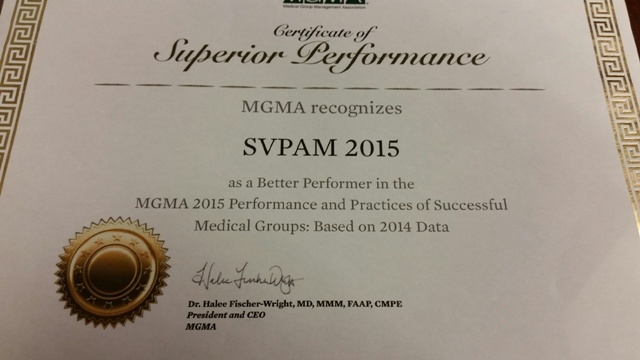 SVPAM has been recognized by the national Medical Group Management Association (MGMA) as a “better performer” in the MGMA 2015 Performance & Practices of Successful Medical Groups! 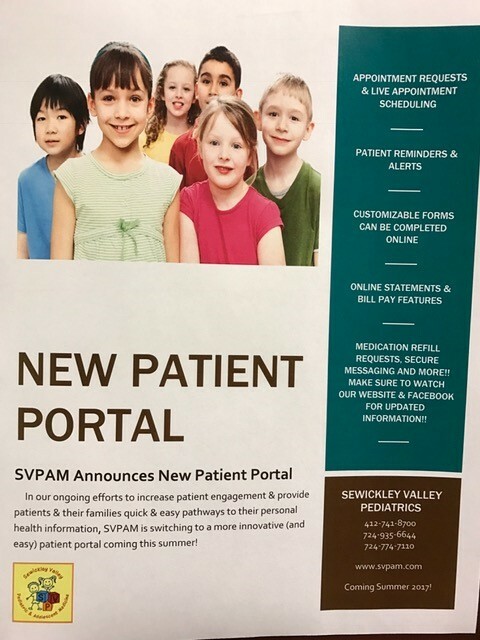 Thanks to our staff, our patients & their families on helping to make SVPAM, one of few remaining PRIVATE pediatric practices, a success!